After the successful completion of Gaur Galaxy North Avenue-1 project, the Galaxy group planned to construct another mega township building known as Gaur Galaxy North Avenue-2. It lies in the western region of Greater Noida in Gaur city. It is large mega storied building comprising of modern amenities and 12 floors. It is still an upcoming project that comprises of many improved facilities. It is surveyed by the IS Codes of Practice that it is earthquake resistant. This building consists of many special features which were not available in earlier projects. The building comprises of 3 types of houses ; 2 bedroom, 3 bedroom and 4 bedroom houses. The two bedroom houses are further classified into two categories. Some 2 bedroom homes are available with a study table, whereas some 2 BHK homes are not available with a bedroom. The three bedroom houses are also available in two types. 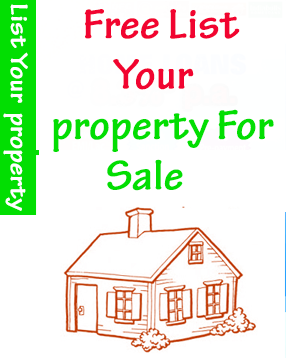 Some houses consists of 2Ts and some houses are made of 3Ts. But both are available with a study room. The 4 BHK home is available with a servant room also. All the apartments consist of a store room. All the projects of Galaxy group consist of ample greenery around, spacious gardens below, and are luxurious. It is constructed on a 99 acre land and it comprises of 80% open space. So, it occupies 7.48 acres of the total area. You can find several modern amenities in this building such as the clinic, swimming pool, multiplexes, malls, stadiums, and even schools. Besides, the residents can enjoy security facility for 24 hours. In Gaur Galaxy North Avenue-2 region, you can find intercom facility along with 100% power back up facility also. It is situated near many landmarks such as white orchid, JNC park, Palm Olympia, Gaurs International School, and VVIP homes. It also comprises of a club with facilities for billiards, gymnasium, table tennis etc. With so many real estate properties cropping up on the national land every few months, there has to be specific aspects that can set apart the normal project from the best ones. All these aspects are the result of use of high class raw material, the input of hard work by a lot of talented hands and minds and also brilliant architectural talent. One property that is surely the example of the best of the best projects at the moment in the nation is surely the Gaur city-2 12th avenue. A total of 7 towers are all of 2S plus twenty five stories. Towers vary between area, number of apartments, number of rooms in the apartments, etc. Strategic positioning of the buildings to allow beautiful view and a lot of sun light and natural air in to the apartments, etc. All these and more features make the Gaur city-2 12th avenue property one of the most sought after properties not only in this specific location but also throughout the Delhi NCR region. With the growth of the region guaranteed to face its boom in the near future, the property represents itself as one of the most profitable property to invest in.